Summit Dermatology, Laser Surgery & Aesthetic Center is the vision of Dr. Jessica Kim – a place where both men and women can experience the benefits of state-of-the-art innovations in dermatology for customized treatments to fit their unique needs. This comprehensive approach is how Dr. Kim believes the best cosmetic dermatology results are achieved – a vision shared by all members of her staff. Dr. Kim graduated with honors from Cornell University, College of Arts and Sciences in Ithaca, New York and received her Medical Degree from the University of Maryland, School of Medicine in Baltimore, Maryland. She completed her internship and dermatology residency at Walter Reed Army Medical Center. After serving as the Assistant Chief of Dermatology at Madigan Army Medical Center in Fort Lewis, Washington, she joined Cascade Eye & Skin Centers as Laser Director of the Cosmetic Center. After more than 10 years of experience at Cascade, Dr. Kim founded Summit Dermatology, Laser Surgery & Aesthetic Center to pursue her passion for aesthetic dermatology. 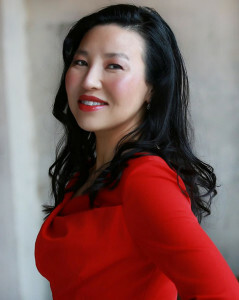 Dr. Kim is board-certified in dermatology and is a published author. She was recognized as Teacher of the Year at Madigan Army Medical Center and has held academic appointments as Clinical Assistant Professor of Dermatology at both University of Washington, School of Medicine in Seattle, Washington and Uniformed Services University of the Health Sciences in Bethesda, Maryland. She has served as Principal Investigator for clinical studies and is a Clinical educator for aesthetic companies. She is a fellow of the American Academy of Dermatology, American Society of Dermatologic Surgery, American Society for Laser Medicine and Surgery, and Women’s Dermatologic Society. If you have any questions or comments, or if you want to learn more about the services we provide, please call us at 360.918.8101 . For a consultation, or to setup an appointment click here. 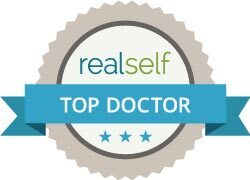 Cosmetic Dermatologist Serving Olympia, Lacey, Tumwater, Tacoma, Puyallup, Gig Harbor, Centralia, Shelton, Federal Way & surrounding areas in Washington. © 2019 Summit Dermatology. All Rights Reserved.